Himmel Haus offering fine German food and beer in beautiful South Lake Tahoe. Come for the variety of German and Belgian beers and savor the wonderful Bavarian inspired menu. 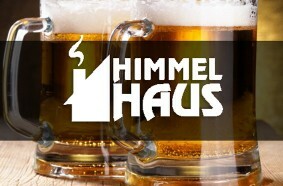 Himmel Haus features over 30 imported German and Belgian beers along with a selection of nice wines. After a day on the slopes come warm up with an excellent Bavarian dinner and lots of cold beer. Perfection! Take a seat at the bar with an 11-foot rear-projection screen and check out their two stages for live entertainment. Himmel Haus – TRIVIA NIGHT!